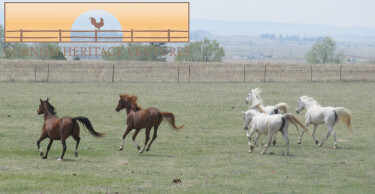 Our job from MO to CO was taking 5 horses to their new home. There were 4 mares & 1 gelding. They traveled well but of course were glad to be out of the trailer. I took this picture less than a minute after the last one disembarked. I love to see horses running but these were extra special. We often tell folks that when their horses travel with us they do not get stiff joints/muscles as we make frequent stops for them to rest & also stop overnight. This picture just reinforced to me the truth of what we say. not boasting here, but the horses proved it to me.